"OK - true story…we have been sleeping on a bed frame that I bought when I was 17!! (20years ago - and yes we have bought a new mattress since - not sleeping on the original!) A few weeks ago my husband was working on his laptop on our bed and when I called him to come for dinner he leapt across to my side of the bed and CRASH the entire bed collapsed!! I wish that I could say it happened as a result of mad passionate love making…but alas...So as a result we are sleeping on the floor!! A new bed frame will eventually happen sometime next year (I HOPE!) 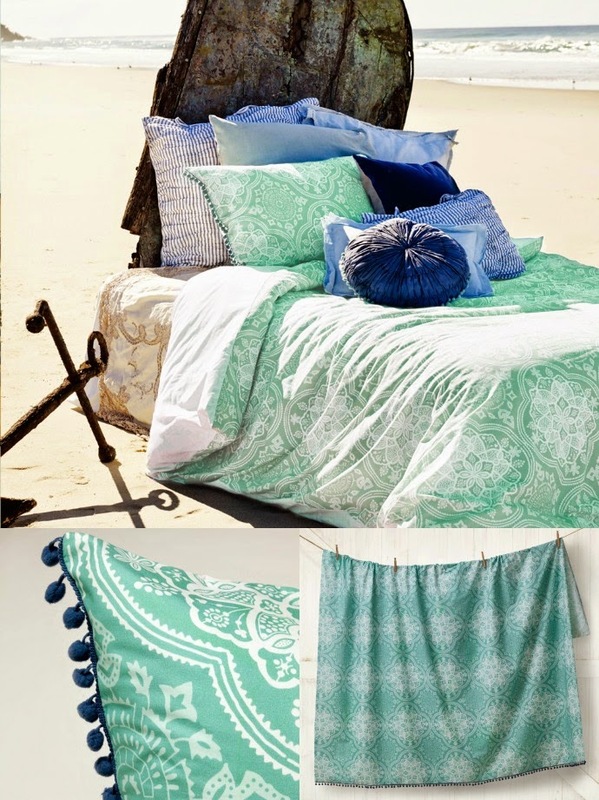 but until then I thought some lovely bed linen could work its 'magic' for our sad looking boudoir!!" Interior designer and stylist - Shannon Fricke believes that a life lived with love, sensuality and an open-heart is a life better lived and it is this belief that both inspires and drives her creative work as the creative director for the diverse range that sits under the Shannon Fricke brand. Over the past 20 years, Shannon has been captivating readers across the globe with her work that has been regularly featured in magazines and newspapers, including Home Beautiful, Inside Out, Country Style, Real Living and Elle Decoration UK. 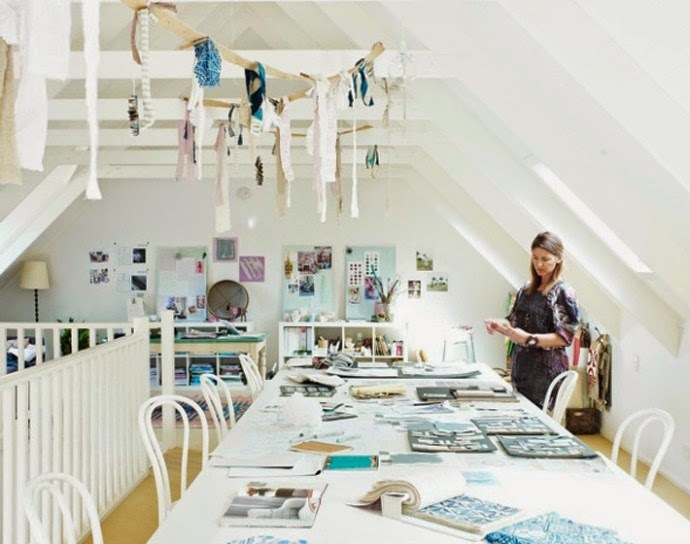 She has presented over 60 episodes of the award-winning design programme HOME on the Lifestyle Channel, and is also the author of the popular books - Sense of Style: Colour and Sense of style: Space and her latest book - How to decorate. 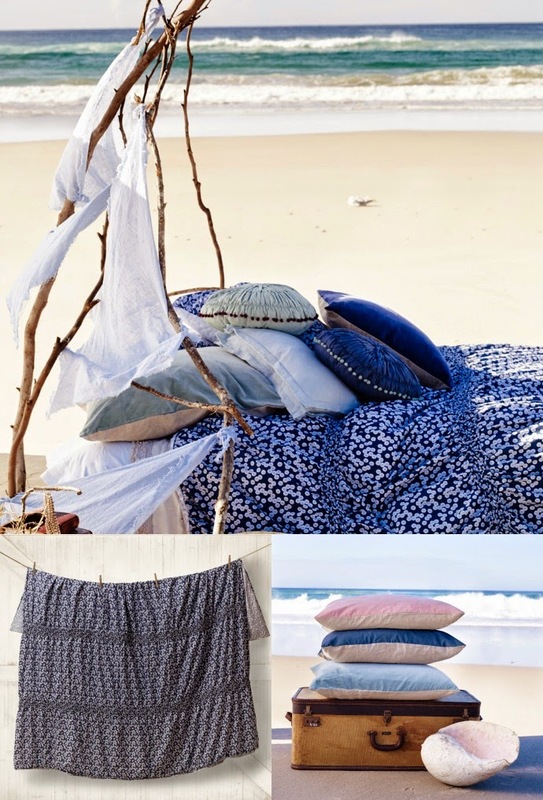 Shannon Fricke's latest range of bedlinen and home wares is based on a summery palette of Indigo and sea green and has been designed to mix and match and create that one of a kind style in your home. View the full range of Shannon Fricke products here. 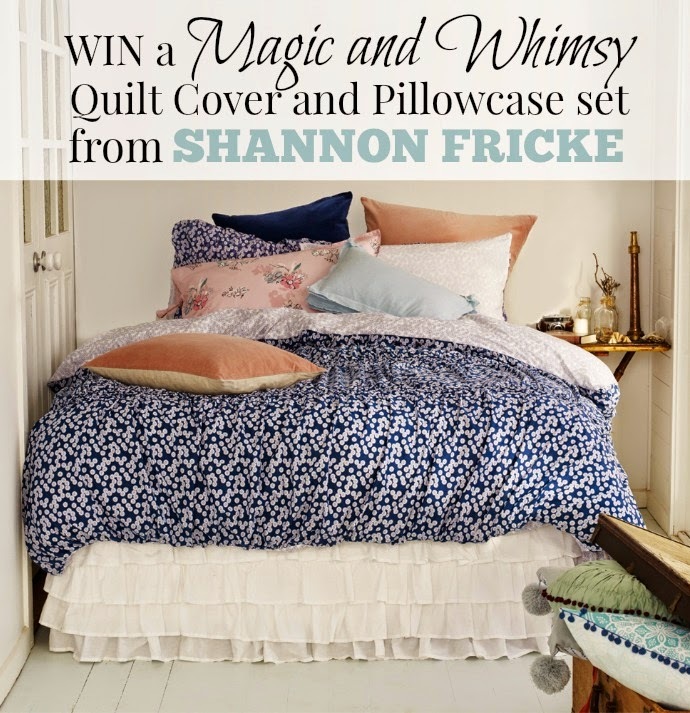 But for one lucky winner, you won't need to go anywhere to get your Shannon Fricke fix because I have a Queen Size Magic and Whimsy Quilt and Pillowcase set up for grabs. Who do you want to win this prize for and why?